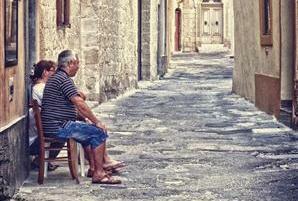 This tour takes one through the other two old streets of the village, Triq Castro and Triq il-Markiz Scicluna, and out to the small hamlet of San Pawl tat-Targa and further down the hill towards the famous cart ruts. The tour begins once again from Pjazza Vittorja. 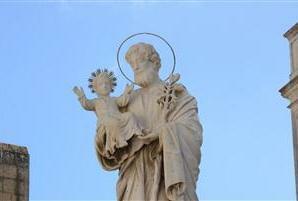 To the right of the church is the statue of St Joseph (1) put up by devotees in the 19th century. Just behind this statue is a cute little Museum “Memories of Childhood”. Walk up to the bus stop, look up to the wonderful statue of St Paul. This was fortunately restored in recent years but was not given its previous colouring which made it so distinguishable. 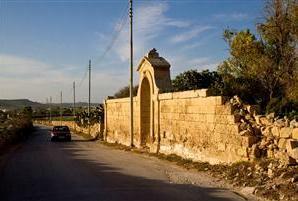 You are now in Pjazza Toni Bajjada, named after the legendary figure of the Great Siege who is traditionally held to have been from Naxxar. Some elderly persons maintain that the old house which stood here before the street towards the area behind the church was opened, was the very house where Bajjada lived. Walk towards Triq il-Parrocca up to the first corner. 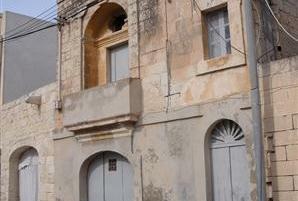 On the opposite corner you see the Masters Wine buildings, a company which is 100% local, the family having begun producing wine many years ago in a small shop in the old Triq Santa Lucija. Opposite this factory is the Oratory, or parish hall, and a little further on the primary school. You need not cross over to the other side. You are also in the area where a new church was planned to be built early in the 20th century. Return to the corner facing the Master wine shop in Triq l-Oratorju, and walk straight on. These are modern houses but you will end up in Triq Castro, another of the old streets of the village. Most of the houses here are 300–400 years old. Walk to your right up to the very end of the street and facing you at the turning of the street right in the corner is Palazzo Castro (2). This is the house which gave the name to the street. A knight with this name lived here before the 17th century. The parish priest referred to this name in the 1720s; in later years another knight named Perelli lived in the house. Turn back and retrace your steps walking up to the other end of the street reaching Triq il-Markiz Scicluna. 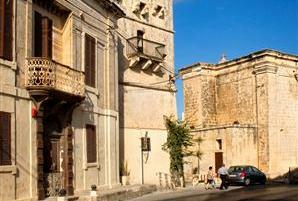 This too is an old street and for many years it was referred to as Strada Sebħa (Dawning Street). At the beginning of the street, high up on the wall of the second house on your left is an interesting statue of St. Anne with the baby Madonna. It is in fact a half figure! 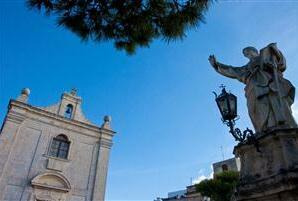 And at the very corner turning into Triq il-Markiz Scicluna is another small statue of St John the Baptist. Midway through the street on your right is Loyola House (3). 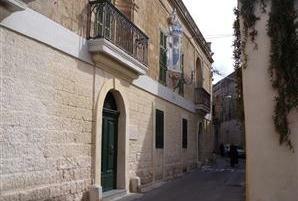 This big house which today houses the Jesuit community was the house where Marquis John Scicluna was born. It was he who just after World War II donated the house to the Jesuits who had actually taken care of him after he was orphaned at the tender age of 11 years. Notice the wonderfully-decorated small statue of the Madonna on this building, a statue which has given rise to a new devotion to the Madonna tat-Triq, the Madonna of the street. A chapel in the Jesuits’ house is also dedicated to this Madonna. As you come to the opening, which is Pjazza Celsi, on your right is the entrance to the Holy Family Home (4), a home for the elderly. This was originally built for the Jesuit novices but was later on given to the Little Sisters of the Poor who ran the old people’s home in the early years of its existence. It has recently been extended to accommodate more senior citizens. This little square is known as Pjazza Celsi because a number of cherry trees grew in this open space many years ago. Continuing further up the street, you reach on your right the small chapel of St James (5). 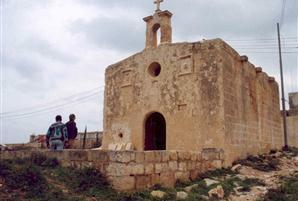 This is a very old chapel, the original one having been in existence already before 1594. The present chapel was rebuilt in 1627. Right opposite this chapel way back in 1958 the British Petroleum Company drilled the first borehole in search of oil. It was an unsuccessful attempt, the first of many others. The former Malta Trade Fair Corporation Grounds can be seen further to the left. As you reach the end of the street, cross over Triq San Pawl, the main street, and walk to the small pine garden. The first old building to our right is one of the oldest farmhouses (6) still in existence. The date on top of its window reads 1730! Walk around the pine garden by the houses. The old house with a small stone balcony was the hunting lodge of Grand Master Hompesch (7). 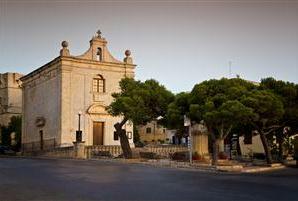 Walk towards the chapel and you come right in the centre of the little hamlet of San Pawl tat-Targa, Ħal Misilmiet, the hamlet of the Muslims. An old tradition says that way back in the early mediaeval times the Muslims lived in this area while the Christians lived on the other side presumably in Ħal Nasciar. The latter name is interpreted by some to mean the followers of Christ. 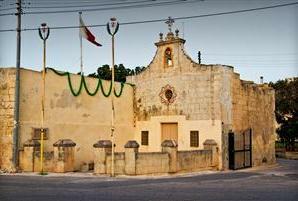 When the parish priest was drawing up the list of people in his parish, he always referred to this area as Ħal Misilmiet, almost a separate community. Throughout the 17th/18th centuries there was an average of 140 inhabitants in the area. With the arrival of well-to-do families in the late 19th century, several villas were built which can still be seen today. However, the major interest in this area are the earlier buildings. Before you reach the chapel, just behind it, is Torri Gauci (8) a tower with a unique story. In 1548 when the knights sent a captain to lead the militia of the area, the tower had already been built, and the captain had the right to live in the tower. 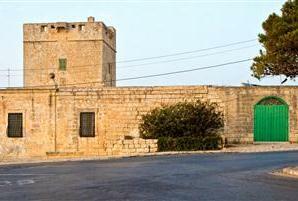 However, the owner, Francesco Gauci, presented a petition to Grand Master D’Omedes, saying that he had built the tower to defend his children, having already lost his wife in a piratical attack. The petition was accepted and the family had the right to use the tower; in fact they continued to do so up to the beginning of the 19th century, when it was sold to the Bugeja family. 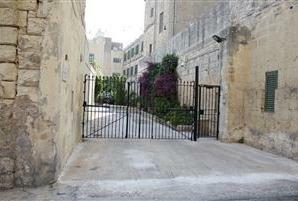 Today it is owned by the Ellul Bonici family (related to the Bugejas by marriage) and is presently on a 50-year lease. It has been recently restored to its pristine beauty. The chapel of St Paul’s shipwreck (9) was built in the last years of the 17th century, replacing another which was of much earlier origin but which had been completely destroyed in the beginning of that century. In this chapel there is one of the most impressive paintings of Francesco Zahra, the prominent 18th-century Maltese painter depicting St Paul preaching to the Maltese after the shipwreck. In the 20th century, the church was patronized by the late Marquis John Scicluna. Mass is held here regularly on Sundays and feasts of obligation. The large statue of St Paul (10) in front of the church was built in 1770 as an act of devotion by the people. Facing the statue on the other side of the road is a column with a cross at the top (11) which marks the position of the earlier church demolished in the early 17th century. The other tower on the right side of the road is the one which the knights built for the captain, the Captain’s Tower (12). It was built during the reign of Grand Master La Vallette, the earliest fortification built by the knights outside the harbour area. Looking out towards the north of the island one can enjoy a full view of St Paul’s Bay and further up the fields on the left side of the road to Gozo. The continued enjoyment of this view is a result of the fact that the owner of, left it in his will that these were not to be built so that people would be able to enjoy the view. Walk down Triq San Pawl with Villa Arrigo (13), formerly Villino Agius, on your right. This was one of the first villas to be built. 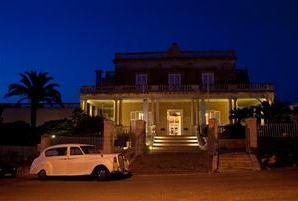 Next to it is Villa Degiorgo (14), presently the British High Commissioner’s house, actually built in the 1820s by the cotton merchant Robert Peel, an Englishman. Most of the other villas are newly-built. 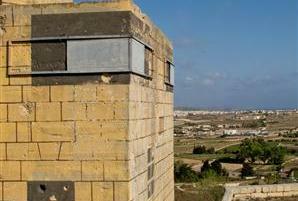 This is one of the most sought after areas in Malta and land prices are indeed high. 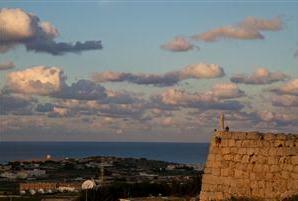 Having reached the roundabout before taking the road downhill, enjoy the view of the north of the island as far as Gozo. On a clear day you might be able to see Mount Etna in Sicily! Looking towards the right away from the high ridge and down into the plain below you, you will see a high reddish-coloured wall with a modern antenna next to it. 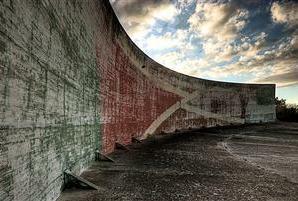 This is the so-called Widna (ear) (15), a parabolic wall built by the British before World War II as a primitive radar station. Its acoustics were so perfect that planes leaving Sicilian airfields were detected immediately. In former times this street was very important as it was considered the gateway to the north of the island. Passage to the north was controlled and one had to go through a gate. In fact this area was known as Fuq ir- Rixtellu (literally on the gate). 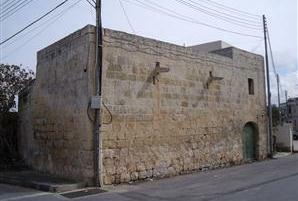 The knights had also recognized the strategic value of this point and had, in the 1720s built four v-shaped redans (16) linked by straight walls. Three of these can still be seen from this point. 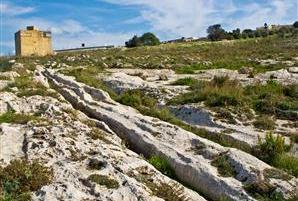 In the 19th century, the Victoria Lines were built and the Naxxar entrenchments were incorporated into the system. Walk further down up to the small yellowish room (17) at the turning of the road downhill. This is one of the many pillboxes built in the 1930s as part of a defence system. This pillbox has been restored. Having reached the platform of the pillbox, you are faced with a most elaborate system of cart ruts (18). These mysterious ruts have given rise to many a discussion but the general opinion is that they did indeed serve as a means of transport and can therefore be said to have been the earliest organized transport system. The leading line is right beneath the modern wall, walk down to it and then follow the ruts as they wind down to the valley. At a certain point, midway down the hill, you will encounter a crossing, very much like a modern railway lines crossing in the form of an X. The main line goes uphill beneath the modern road from left to right and further up towards the direction of Mosta. As you walk up back to the roundabout you can see this line on the right side of the road. From this high point one can also see the Plague cemetery (19), on the road leading to Burmarrad, and right down in the valley beyond the quarries, the church of St Catherine (20). But venturing this far would be testing on your poor feet. 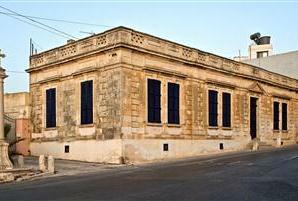 So retrace your steps and walk back to the Naxxar square.